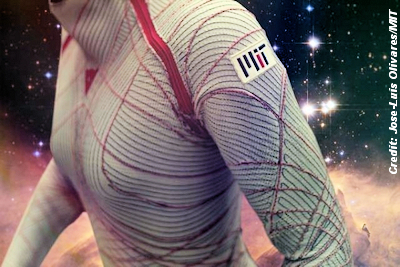 Scientists from MIT have designed a next-generation spacesuit that acts practically as a second skin, and could revolutionize the way future astronauts travel into space. Astronauts are used to climbing into conventional bulky, gas-pressurized spacesuits, but this new design could allow them to travel in style. Soon they may don a lightweight, skintight and stretchy garment lined with tiny, muscle-like coils. Essentially the new suit acts like a giant piece of shrink-wrap, in which the coils contract and tighten when plugged into a power supply, thereby creating a "second skin." . . .